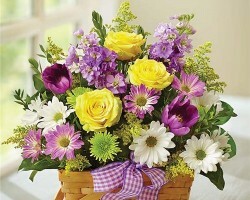 There are few things better than knowing that you are working with a florist that takes pride in their work. This means that they will only ever present you with the freshest and most colorful selection of flowers to choose from to use in your wedding décor. This is the exact reason so many Ohio couples turn to Hirzel Brothers Greenhouse whenever they need wedding flowers. Reviews of this company cannot say enough about how accommodating the designers can be and how affordable the arrangements are. Lee Winters’ Florist is a company that has dedicated themselves to growing the most beautiful selection of flowers and arranging them into stunning vases, bouquets and décor. When you are planning a wedding, this company offers the best flowers at more affordable prices than other companies in Ohio. Even with the low prices, you will never have to compromise the quality of the blooms individually or the design of the wedding flowers overall. 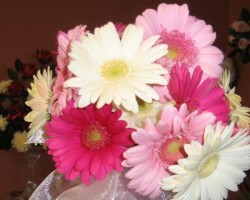 You will have the most beautiful wedding with these arrangements present. In 1939, the owners of Monroe County Flowers opened the doors of the shop and quickly became the go-to florists in Toledo, OH for all flower-related needs. Still with the same family that opened the store many years ago, this is one of the oldest and most respected flower shops in the area. 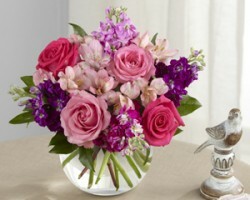 Every client that comes into the shop or calls for an arrangement receives personalized attention and care. The designers will do their best to meet any special requests or to come up with unique décor ideas for events like a wedding. There is so much that having the perfect floral arrangements can add to a celebration, which is why Lia Colapietro Floral offers custom designs for weddings and other special occasions. 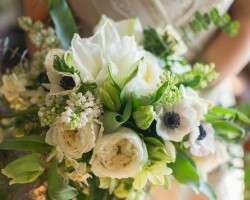 This company is known for creating unique pieces and decorations that perfectly suit the tastes of their clients and the style of the event that is being held. This Toledo florist is there to collaborate to come up with the best possible designs. This is the only way to guarantee that you will be totally satisfied with the results. 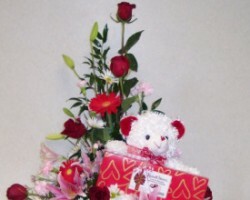 Blossom Designs Floral Boutique is not like other local shops that simply offer flower delivery in Toledo. This shop is owned and operated by an artist that uses flowers to create some of the most beautiful and unique arrangements. This professional works with fresh and silk floral as well as outside props and pieces that will make a centerpiece for a wedding reception even more interesting. You can work with the artist to make sure that her work matches the theme of your event perfectly.